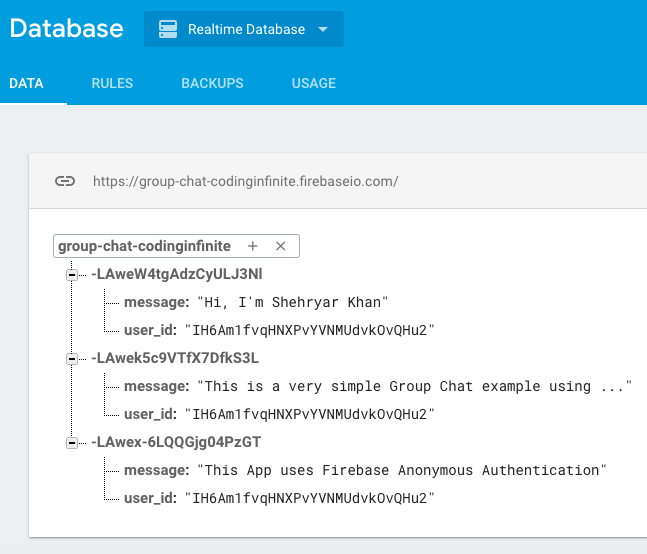 Hi guys, today I’m going to implement Live Group Chat Example using Google Firebase Real-time Database. The complete working example is available on Github, you can find the link at the bottom of this post. 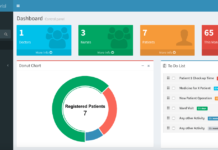 You may also check Demo. 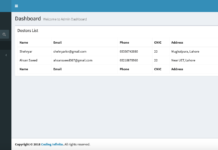 This simple code will push an object of user id and message text into the firebase database with a unique id. Now we need to add Events for Adding Messages, we do not need to get all messages List from Firebase Database, Add Event will do the job automatically for us. 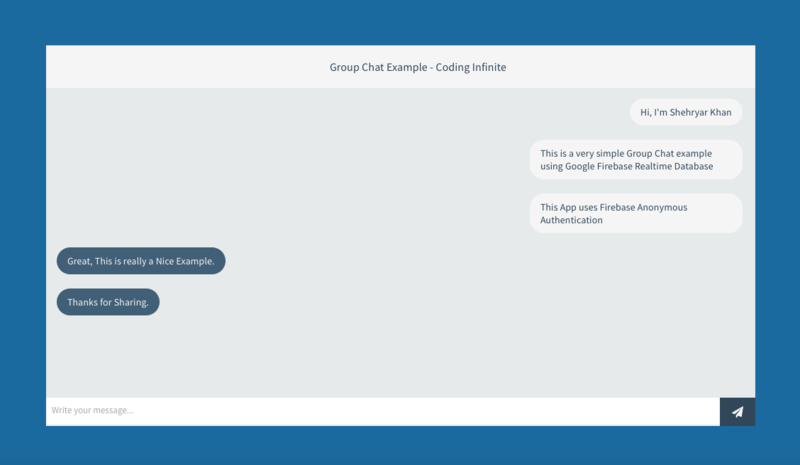 Combine the code to get Complete Live group chat or you can download complete example from Github.